Are you looking for solutions to make hundreds of acrylic letter cheaper but still in good quality? How to make acrylic letters cheaper and quicker? How to big save to make and install acrylic letters? Acrylic letters are also called perspex letters, the surface is glossy, suitable to cut letters interior and exterior use. On job such as acrylic letter for office wall, normally one-third cost is to cut letters, 30%-40% cost is installation, the rest is profit for signwriter. Most installation job is less than two hours. It will save 40%-50% cost if DIY installation. The big challenge for installation is to make sure each letter in the exact position. Our “Peel & Stick” Acrylic Letters just what you need! It’s the best solution! These letters are cut from high-quality cast acrylic sheet with clear adhesive on the back, easy to install no tool required. We supply smart-stencil for each job, what you need to do is to peel the back liner off from the letter and put the letter in smart-stencil, that’s it! 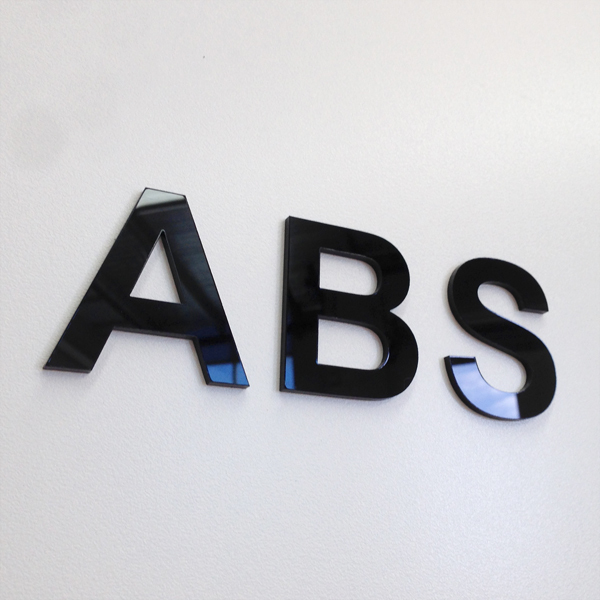 Acrylic letter with adhesive on the back, easy to install no tool required,make Installation a breeze.